'Pisang' means banana in Malay. The word 'lepat' however does not exist in the Malay dictionary, leading to my own conclusion as to the possible origin of this word. 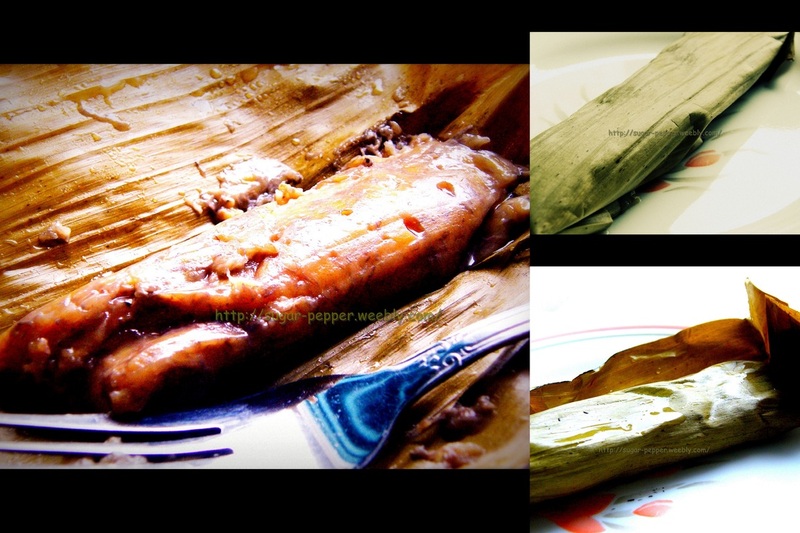 The way that this sweet steamed delicacy is prepared, requires the wrapping and folding of banana leaf around it. 'Fold' is 'Lipat', so perhaps there might have been some error of spelling back in days or some other explanation, it is today called 'Lepat'. In Malaysia, there are different types of lepat, commonly made from cassava, banana or corn. This is the banana (most common) recipe. Once you have prepared the banana leaves, place one on a plate. Place about 1-2 tablespoons of the batter in the middle of the leaf then fold the side closest to you, followed by the side opposite you and then tuck the ends underneath. Continue with the rest until they are all done.